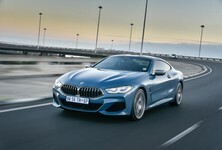 BMW’s small sportscar is back with a vengeance. 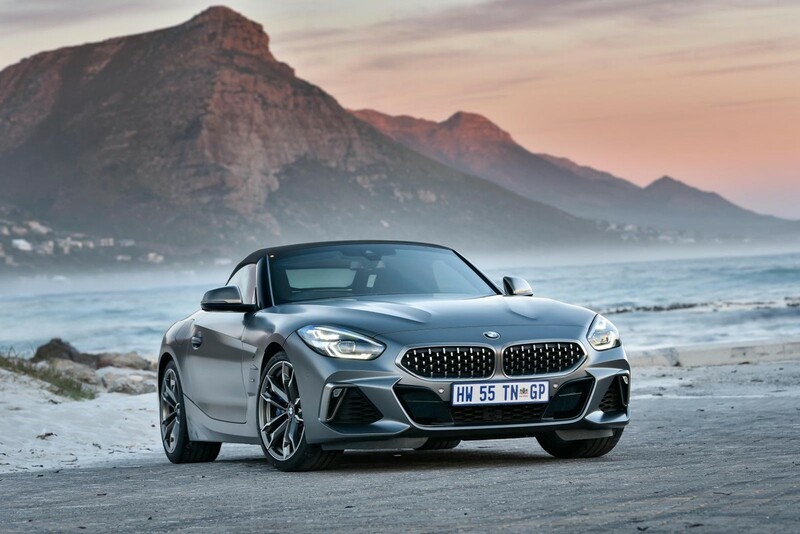 The new Z4 raises hopes that BMW can once again make a light, agile and fun-to-drive roadster that can go toe-to-toe with the Audi TT, Jaguar F-Type and of course, Porsche Boxster. The market for soft-top 2-seater sportscars is a niche if ever I saw one. Roasters are impractical, difficult to get in and out of and promote hedonistic behaviour. They're perfect, then, at least in my eyes. 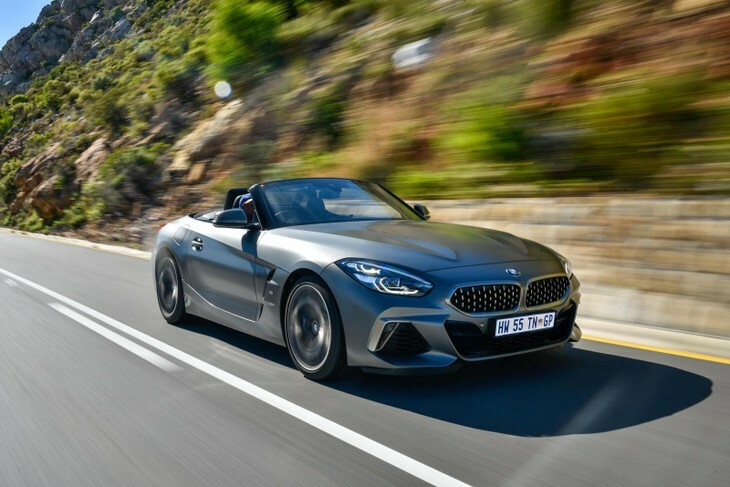 The previous Z4, with its folding hardtop, steep price and iffy dynamics, has been swept under the carpet – it was a piecemeal, humdrum poseur-mobile. 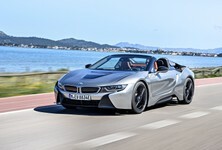 Plus there was also no M version, much to the chagrin of performance aficionados. 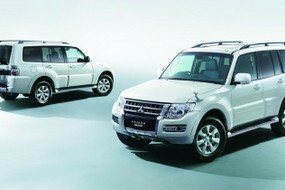 The new model is being introduced to the South African market in just 2 derivatives (to start with). 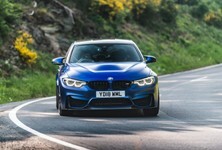 A 2.0-litre 4-pot turbopetrol (140 kW and 320 Nm) and the M40i, which is powered by a 3.0-litre straight-6 turbopetrol with peak outputs of 250 kW and 500 Nm of torque. 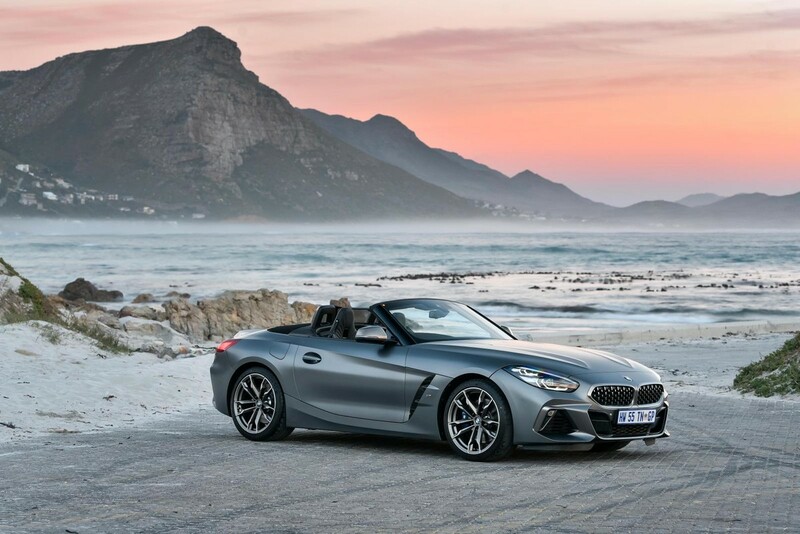 These 2 versions of the G29-generation Z4 cover the entry-level buyer, who just wants enjoy the ownership of a soft-top sportscar without feeling the need to have to prove that they're a driving god, as well as the enthusiast, who craves serious performance kicks when they drive out into the mountains (or onto racetracks). 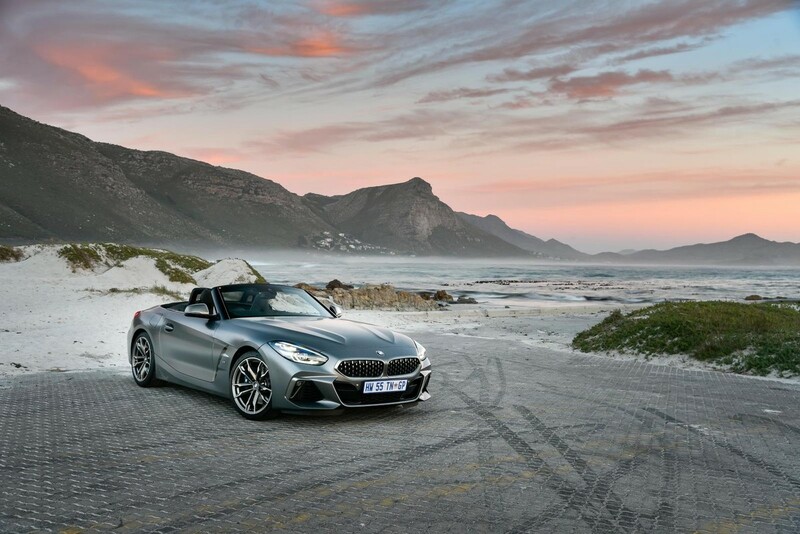 The new Z4 design invloves lots of creases and a studded front grille. 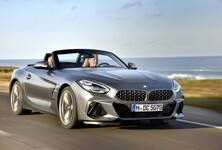 Looks are subjective, but public reaction to the new Z4 seems generally positive. 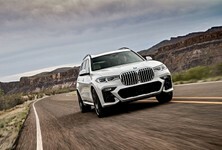 I like the fact that the kidney grille hasn’t been overly enlarged like on some of the latest BMW models (X7! ), although its studded-jewel "mesh" does resemble the previous-generation Mercedes A-Class, not so? 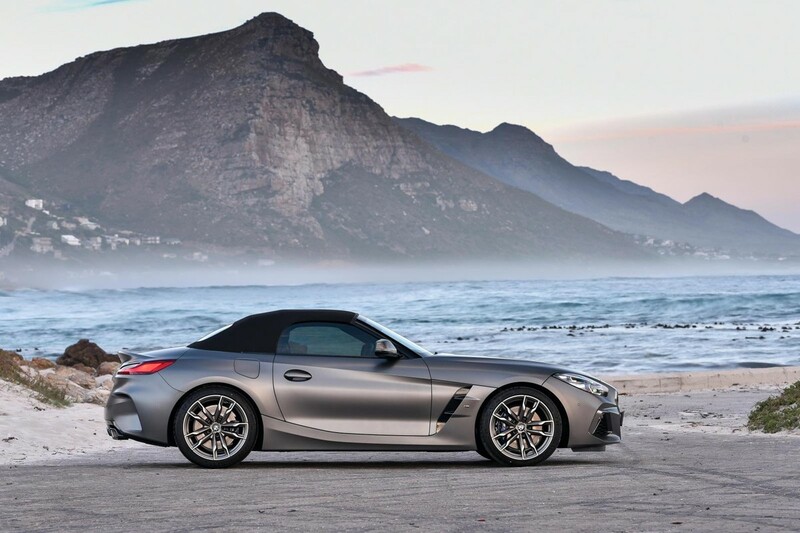 With a shortened wheelbase, the Z4 is palpably agile; it can be whipped from one bend to another with laughable ease. BMW wanted this Z4 to be a real sportscar, something that would live up to its time-honoured "Sheer Driving Pleasure" ethos. 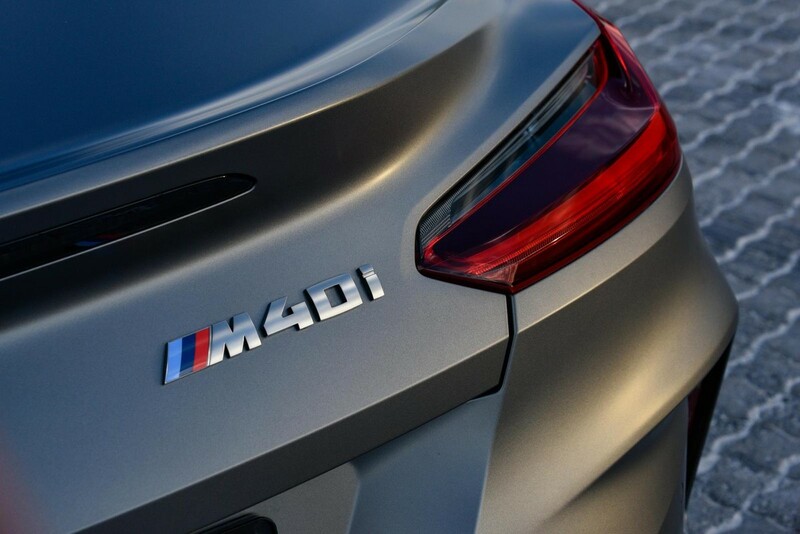 The M40i laps the fabled Nordschleife in under 8 minutes, which is seriously quick for a non-M model (this is badged as M Performance, a tier below standalone M). The newcomer's rear track has been widened more than the front (98 mm wider at the rear, 57 mm wider at the front) to reduce the oversteer effect. 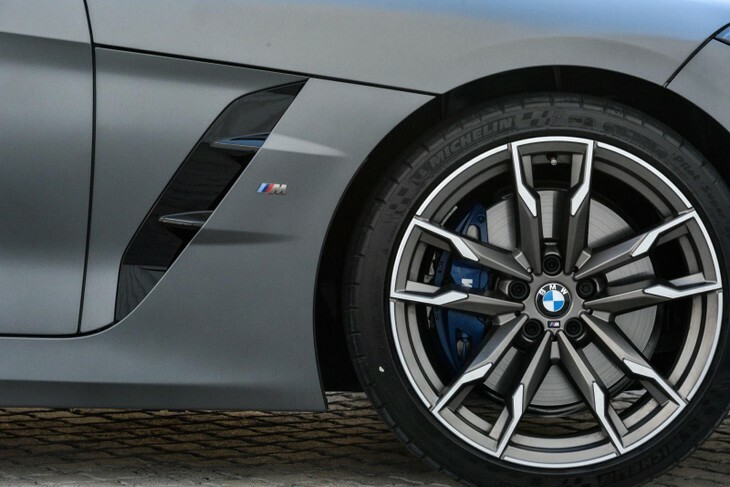 To counter this, the wheelbase has been shortened by 27 mm, which gives the Z4 noticeably faster reactions to steering inputs. 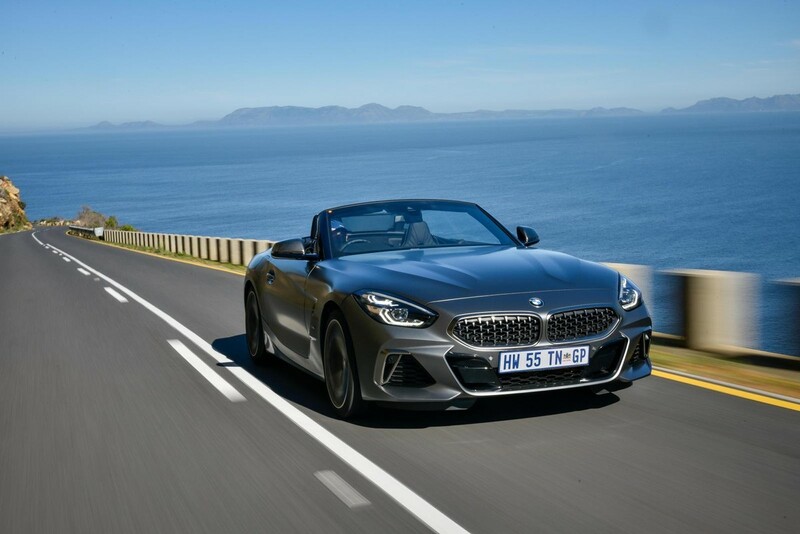 In action on the tightest of passes connecting Wellington to Slanghoek, the Z4 M40i remained poised, well-balanced and eminently reactive to driver inputs and, what's more, the Bavarian roadster resisted the urge to get twitchy. You can confidently (and rapidly) swing the steering wheel 1 way and then the other without unsettling the car. There is mechanical grip for days, which allows you to stomp on the power quite early when exiting bends. The roof comes down in just 10 seconds. Unlike BMW’s M engines, the 40i motor delivers its torque in less of a hit; it’s more progressive as you introduce power to the rear wheels. I’ve always felt that M engines (especially those of larger displacement) have the propensity to produce too many heart-in-mouth "moments", whereas with the 40i, the engine produces more progressive torque delivery and therefore facilitates a more confidence-inspiring drive. And if I don’t want to be a racing driver? 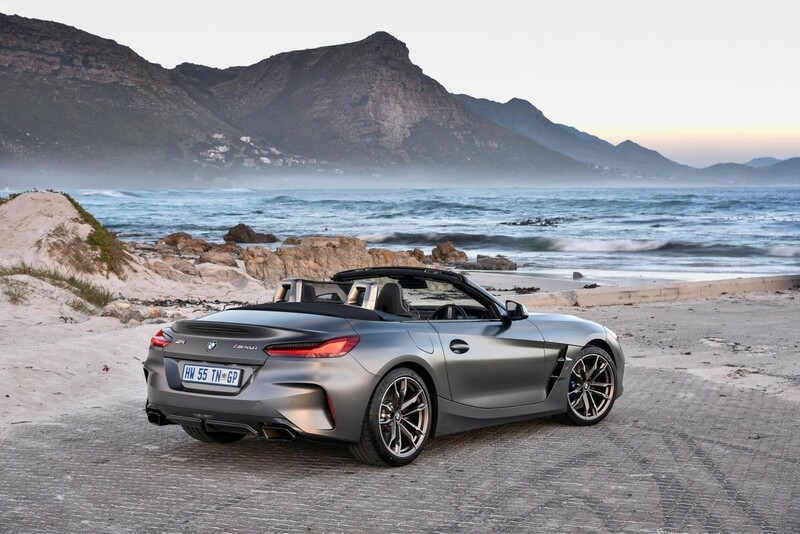 By virtue of modern suspension technology, replete with all its electronic adaptability, the Z4 calms down within city limits and turns into a subtle, relatively pliantly-sprung, sunset cruiser. For something so squat (and shod with low-profile rubber) it’s surprising how well the BMW soaks up the irregularities of inner-city roads with their manhole covers, holes and bumpy surfaces. 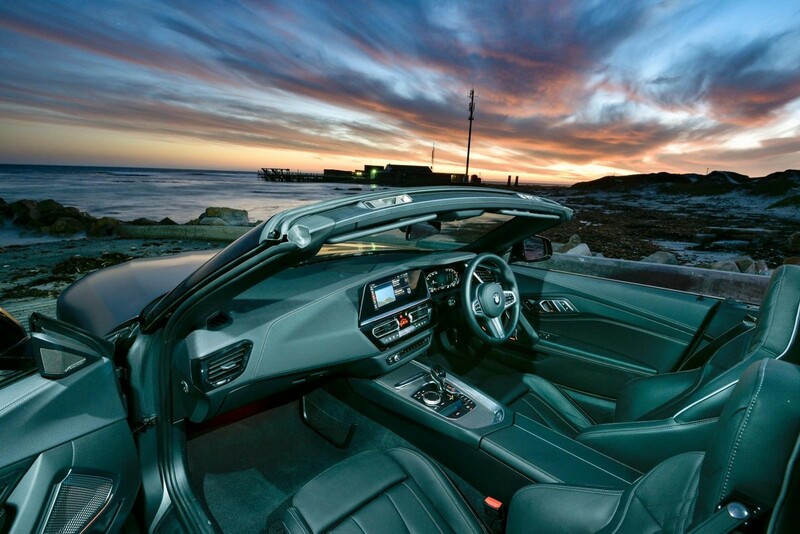 The soft-top roof is a blitz to open or close. The "ragtop" takes a mere 10 seconds to fully close or open and can be done up to 50 kph. Just take care as the roof button is adjacent to the handbrake and both buttons are shaped identically. It’s easier than you think to confuse them. 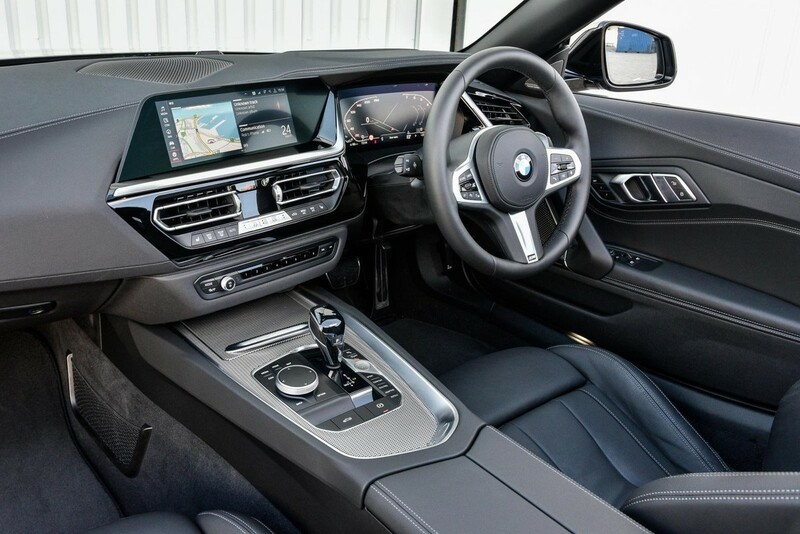 Infotainment screen can be controlled by touch and with the iDrive controller. 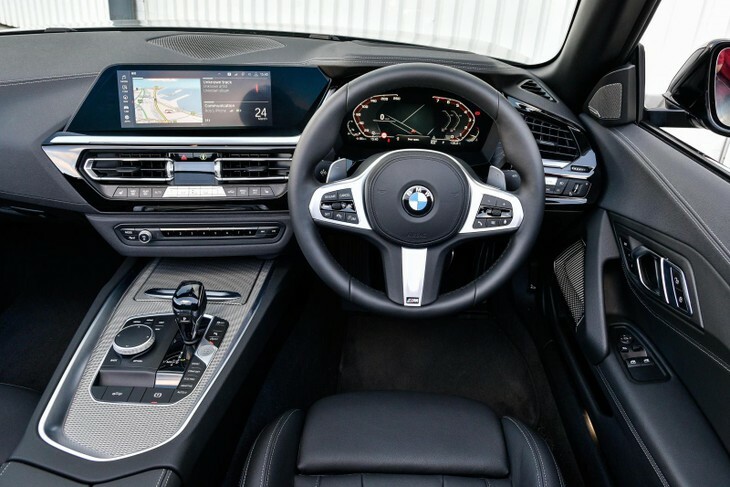 The dashboard is tilted towards the driver making it easier to reach buttons and get to the very corner of the touchscreen. As for the infotainment system, its 10.25-inch screen is crisp, clear and hi-res. If you don’t want to dirty it with grubby fingerprints, you can use the standard i Drive rotary dial in the centre console, but using Android Auto and Apple Carplay can be awkward without resorting to touch inputs. As for space in the boot, with the top up or down, the capacity is 281 litres. That’s reasonable for a sportscar and matches most modern hatchbacks. M Performance models get subtle M badges as well as blue M calipers. 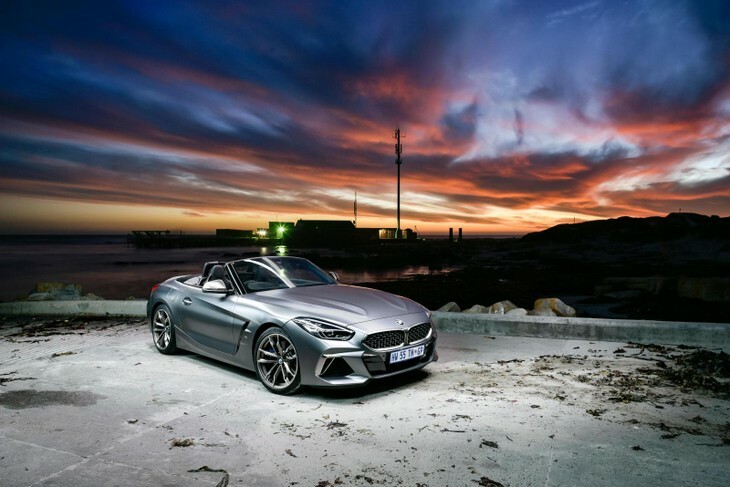 Having only sampled the M40i during the media launch of the new Z4 range, I am happy to report that the range-topper's definitely got a chassis that’s capable of handling more power. This obviously bodes well for higher-output versions in future, although they have not been confirmed yet. 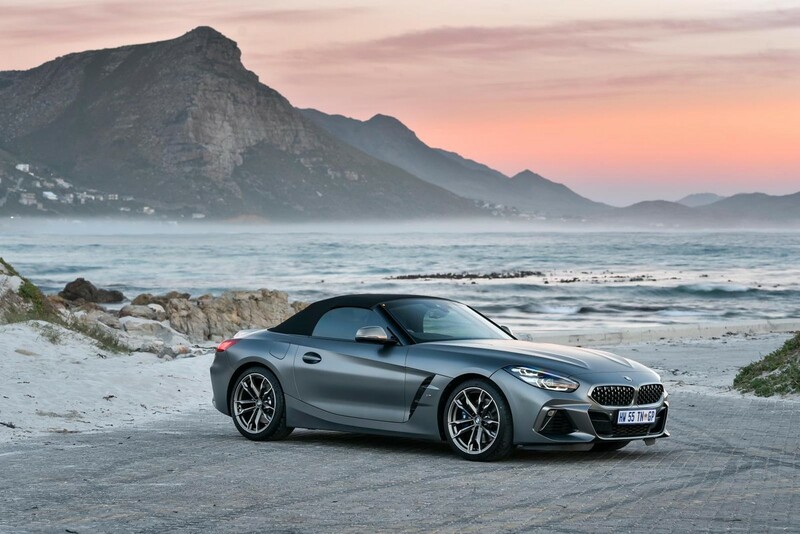 The third-generation Z4 has plenty of mechanical grip and feels neutral on the limit. 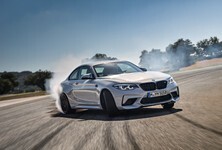 It’s not a scary car to drive fast, which makes a welcome change for performance BMWs of late. 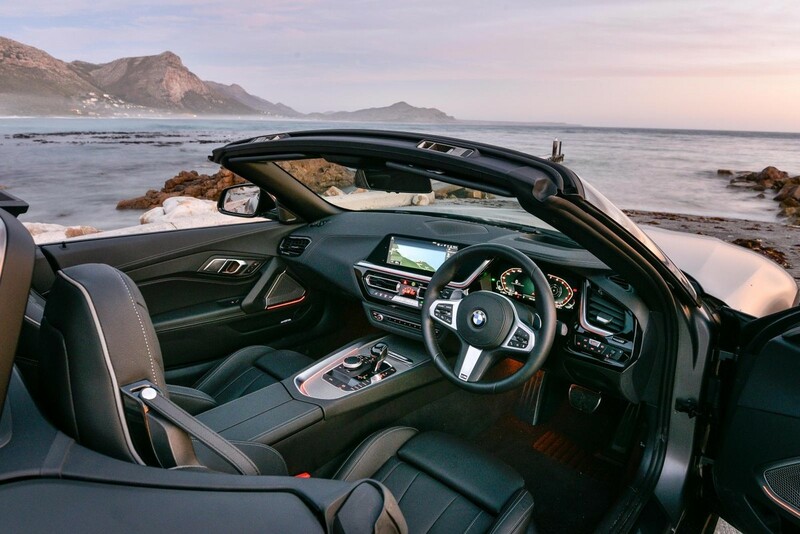 It’s also comfortable and compliant when you want to take it slow and enjoy open-top driving. 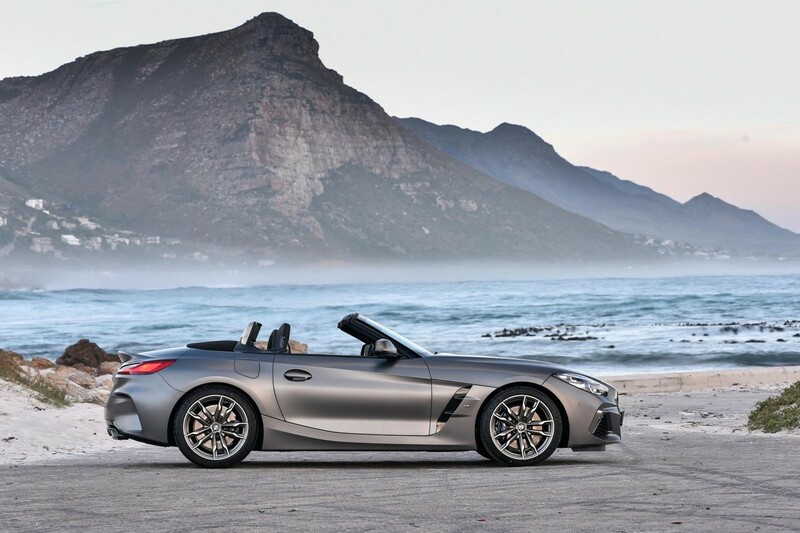 It’s difficult to pin down what exactly BMW was trying to achieve with the Z4, as it’s a consummate all-rounder. It hasn’t gone as far towards the sportscar ethos as a Porsche Boxster and it’s not as good looking as an F-Type, but it does have an excellent 6-cylinder engine, a fantastic transmission and well-sorted dynamics. On balance, it probably blends the best of both worlds. What more could Z4 loyalists have asked for? Does the new Jaguar F-Type 2.0 work as a sportscar?